Well another book from last years backlog of read and unreviewed books as I try to clear the backlog, so I get to another of the Istros books Best Balkan book 2013 ,this time it is the Serbian writer Marija Knežević she studied at Belgrade university and the in the US ,worked in Serbian radio ,she has published a number of books in various styles of writing poetry ,essay ,short fiction and novels .She was included in the best european fiction 2012 for Serbia .She has also won a number of book prizes in Serbia . Where is he ? Why is he late ? All right , I always come a little early just in case , but he should have passed by already ,like every other day .How did he look ? Is he going to come ? Is he going to give me a piece of chocolate today too ? The start of a chapter grandmother when Ekaterini was waiting for her fathers return from the great war . 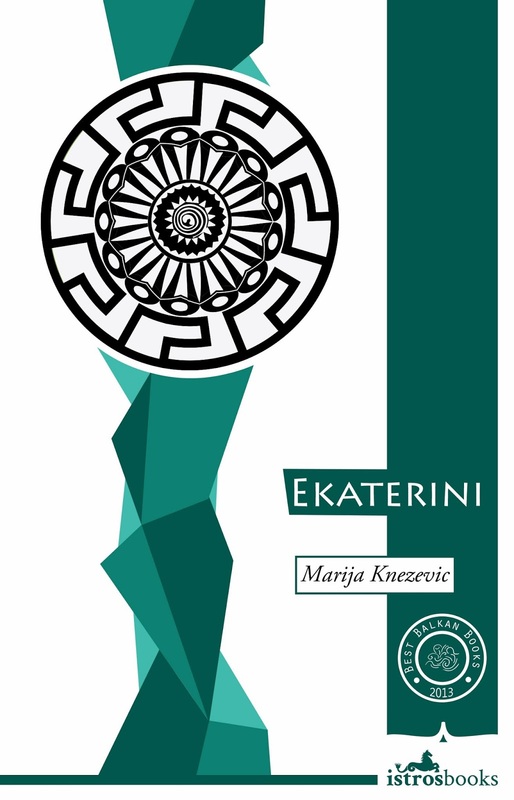 Well Ekaterini is a novel about women in the Balkans ,about moving through places ,about longing ,about a quest to return home .As you see a complex book that deals with one women journey from Greece to Yugoslavia as it was then and the history of the 20th century she saw .The woman is Ekaterini the title of the book she is as Greek women that falls in love with a man from what is now Serbia and follows him home to Belgrade and she makes a life with him this is before the second world war ,the we see how her and her two young daughters cope during the second world war .The change fortunes as the war goes one way and the another the two leaders Hitler and Stalin ,the post war period of Socialism and of course the great leader of Yugoslavia Tito then post Tito to the falling apart of Yugoslavia .Ekaterini always dreams through out her life of returning to her home in Thessalonike .The story is told by her granddaughter who greatly admired her grandmother . Ekaterini granddaughter the unnamed narrator of the book visiting the grandmothers grave . 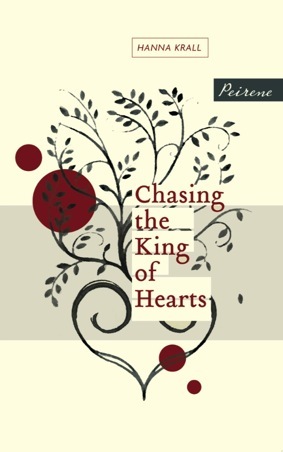 Well the book is described as the reverse story of the myth Odysseus of course instead of Odysseus going and fighting in the wars it is a female Ekaterini a modern-day take on Penelope that takes the journey not to fight but to show the other side of a conflict and that is the home life ,what is it like to bring up a family against this backdrop ? what is it like to be a women instead of a man and miss your homeland .I love the fact that Susan the publisher of Istros books keeps turning up gems like this one .Yet another book that for me shows the importance of books in translation .They take you to another place ,see the world through another eyes and like this can twist what we known as Greek myth into a greater myth of the Balkans and switching what was the male narrative of the original to a modern female narrative . Have you a book you’ve enjoyed that is a modern retelling of a myth ? Carole Martinez is a rising star of historic fiction in France this is her second novel .She is a middle school teacher ,she began writing during maternity leave nine years ago .This her second novel won the Goncourt Lyceens in 2011 ,previous winners are Phillippe Claude and Andrei Makine .The prize sees twelve books read by 2000 students and they choose the one they like . How esclarmonde end up a damsel of whispers . 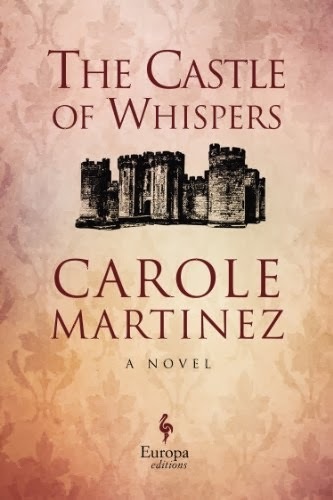 The castle of whisper is set in 12th century France ,a young women ,the fifteen year old Esclarmonde is due to marry a rather unworthy Knight that has a wandering eye .She decides to turn her back on this marriage and join the Church much to her fathers dismay and she becomes a mistress of Christ .She chooses to use her dowry for her entry to the church instead of her marriage and builds a stone chapel where she entombed herself in a cell ,the years pass and she can only contact the world via a small gap .She has become a link between the world of now and the dead ,her words tell what may happen ,the whispers of this place change the outside world .A world gripped in violence and the crusades are taking part . My father had not yet put in an appearance outside my cell .In the autumn ,he had taken a second wife ,a young childless widow not much older than myself .whom I had often glimpsed since her arrival at the castle .her name was Douce ,and she smiled at me whenever she passed the maple . What will the new stepmother bring into Esclarmonde life ? I have struggle with historic fiction in the past ,I must have been the only person not too enjoy wolf hall ,so it was with nerves I decided to read this as it was another book set in the middle ages .But was surprised to find I liked it Martinez is a poetic writer ,she shows the transformation of the young girl to a woman in the walls of a church .I enjoyed the series on the TV in the eighties Robin Hood ,which like this novel drift at times into the world of mysticism ,Esclarmonde and her castle of whispers are a French take on the same themes touched in the TV series ,people tended to believe in the other world ,worlds more than they do now .Gabriel Garcia Marquez is mentioned on the back cover from a review ,I agree she has the same way of making the extraordinary seem less so the world isn’t so surreal as Marquez does in his books .The castle of whispers is about the power of men and women to battle the world in different ways one with love the other with violence .How faith can make people change and grow . Do you have a favourite historic writer ? I have read two other Marias before this one ,I reviewed while the women are sleeping a couple of years ago and late last year read a heart so white ,I enjoyed both and have before that i have tried to read the huge your face tomorrow trilogy but never got to it as I never get chance to have the library books out long enough to get to them .But after hearing this mentioned as one of the favourite books of last year by Three percent podcast .I decided with the Independent foreign fiction prize looming in the background I review this before a heart so white .Javier Marias has been writing for forty years he started translating Dracula scripts for his uncle a well-known Spanish film director the infatuations was his latest book in Spanish published in 2011 in there . The opening lines of the book ,now doesn’t that draw you in? I had been meaning to try this book , since it came out last year partly due to the great black and white cover ,I’m not a huge one for mentioning covers but this one is a just come and look and read me cover ,anyway back to the book it the story of a women Maria Dolz who works in publishing ,she sits every morning in a cafe and watches a young couple that also frequent the same cafe ,she is an imaginative person and dreams about these two then one day she finds out the husband of the couple has died after seeing a picture of a man who has been stabbed in a newspaper .This draws her into a sort of mystery and what is the wife doing ,when she turns up with some kids and they are fetch by another man .What is happening ? why did he die ,who is the new man ? “Once the sentence had been heard ,it was Athos who turned to her and ,as master of ceremonies , said : “Anne de Brueil , countess de la fere , Milady de Winter ,your crimes have weried men on earth and god in heaven . one of many literary links in the story ,Maria does work in publishing . 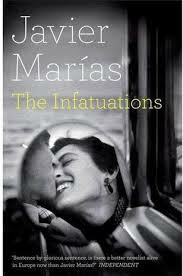 I love Marias and will read all his books translated over time ,if there is a reading version of slow cooking he is it the prose he writes isn’t flashy ,the action plot isn’t a hurtling train no this is like a slow cook the senses ,mind is seeped slowly and gently into finding out what had happened to the couple .We discover that what Maria saw and thought she saw isn’t really what she saw .I was reminded of the way Maria gets drawn into this Murder and the web surrounding of the Woody Allen film Manhattan Murder mystery which saw a character played by Diane keaton sees her neighbour maybe kill his wife ,this book remind me of the fumbling into a deeper mystery .I also loved the way he used the character of my lady from the three musketeers as someone to compare the wife too . We see a lot about life ,death and what drives people. I loved his style of writing ,yet again his books are like a slow drift down the river ,there is no hurrying in his writing it needs to be savoured . Well it’s that time of year we are heading in over a month to the 2014 independent foreign fiction longlist coming out .I’ve spoken on twitter about doing the shadow iffp and lots people seem keen and so I decide to chair it again for a third year so anyone interest mention in comments or twitter we will sort out who is doing what I want try and have people read most books if possible this year and there we have a question what do you think will make the longlist ? Krall ,Marias ,Knausgaard ,Luiselli or ? I feel it’s been a quiet year than 2013 for iffp but lots of good books out there and I always find a couple of books I’ve missed out on .So if you want join the shadow team and chat translation come on !!! 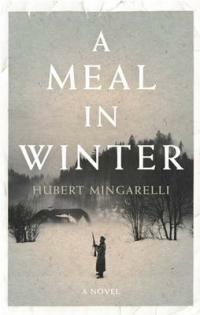 Hubert Mingarelli is a French writer ,he left school at 17 joined the navy and saw the world travelling around the Mediterranean and pacific .He took up writing in the late 1980’s and published his first book in 1992 .A meal in winter is his first book to be translated into English .He won the Prix Médicis a major French lit prize in 2003 for an earlier book . As usual , he gave us what we asked for ,and we left the next morning – Emmerich Bauer and myself ,We went at dawn before the first shootings .That meant missing breakfast ,but also meant not facing Graaf who would be filed with hatred we went over his head . I read this book one evening last November and was struck by it’s sheer power in the fact it is a simple story but with lots of power on the moral nature of man .The book has just five main characters they are three Nazi solders sent by their commander not Lt Graff there intimidate boss , to fetch a runaway Jewish boy / young man and a Pole they meet whilst doing this . The story starts when the three solder are sent out in the deep winter to recapture an escape Jew and deal with him as they see fit .The man has escaped but due to the weather and the place they are ,he hasn’t got to far but far enough for them all to get stuck , and is recaptured by the three .they then decide to take shelter and seek something to eat at the farm house ,then they are joined by a very anti Semitic Pole .This simple meal and what happens during it may change the five men caught in the very deep winter of middle Europe .Each questions the actions . The Pole ,looking at Bauer ,quickly said a few words before his gaze swung back to the storeroom .And then he spoke in the universal language of Malice ,his head nodding maliciously . The Pole shows his colours to the three men . This book is short as I said at 138 pages long and not the biggest hardback ,but for what it lacks in size and length it makes up for in style ,this book is from the pen of a talented writer sparse is the story but deep as well .We see how the soldier did this to escape shooting ,the Jewish boy is almost like a mute witness but at the centre of it all an unnamed young man that is the target of the Pole when he arrives in the narrative .But for the soldier catching him is easier than killing others which is what they had to do .Moral questions are ask by all what forms values like a lot books that maybe focus on the German side of the conflict you see the different values of the men and when faced with someone truly anti Semitic ,they begin to question there own views .I review another book from this time yesterday from Hanna krall I felt these two actually suited being reviewed in consecutive days different styles of writing this sparse to the point no drifting the other drifting and full of the war ,this is just five people . Do you like sparse narrative books when done well ? Hanna Krall is a polish writer born in 1935 in Warsaw to a Jewish family she survived the second world war in hiding ,but lost many member of her own family .After the war she graduated in Journalism and started working for the polish magazine life of Warsaw and moved around working a a literary manager ,before becoming a novel writer in the 1980’s since then she has written nearly twenty years .this book was published too much acclaim in 2006 in Poland . from chapter with title of the book and also a card reading of what may happen to Izolda . Chasing the king of hearts is a story set during the second world war story ,it is a Jewish second world war story ,it is a jewish second world story of what happened to many Polish and other Jewish people during the war .This book is about one women surviving the horrors of that time ,this book is her story Izolda Regenberg .Her story as told in this book is a collection of vignettes editorial piece ,articles the novel is a series of glimpses into Izolda and her life ,her great husband Shayek ,we follow them and all the people around her in her life as they enter the ghetto .We glimpse the ever opening doors of horrors at the war and what it has brought them too .Izolda hides but ends up in many a tight corner as she tries to escape from the war and the Nazis ,but she ends up getting caught up and ends up in Auschwitz but will he love save the day as it was foretold near the start in a card reading .The novel is also litter with pictures that help you picture the people and things mentioned so well . After all ,I carried him inside me ,like you carry a child is it my fault ? is a pregnant woman guilty for having a belly ? The closing lines of the book as Izolda looks back . I liked this book last year when I read it but left it to review it and as I feel it is going be a strong contender for this years Independent foreign fiction prize 2014 I decide to do it today .The book is a very different novella it is very polish in that I mean it is firmly rooted in the polish reportage style of writing .The little choppy chapter keeps you as a reader at the edge of your seat as you follow the bits of Izolda life but also the greater world around her ,bit she does remind me of scenes from Schindlers list where one women visits Schindler as she is hiding but want help for her family ,another thing I was remind of is the german film Europa ,europa the true story of Solomon Petrel a German jew that pretend to be a Nazis to survive the war .I was so touched by Izolda feeling about suriving it mus have been so hard to have been a survivor of this horror.Yet again Meike from Peirene has shown even the field of holocaust fiction can be enriched by wonderful books like this . 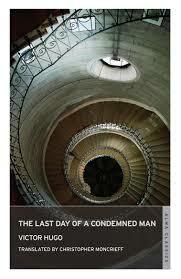 Have you read this or any other books around the Holocaust ? Another for Tony’s January in Japan project and another of those older Japanese writer I hadn’t got too before now ,so this time it is Natsume Sōseki .He was a writer from the Meiji period of writing ,he studied both Chinese and British literature .He wrote poems Haiku and Novels .He also left an unfinished book when he died .He is also on the 100 yen note in Japan . In January of the sixth year after my mother’s death , the old man had a stroke and died ,That april I graduated from a private middle school ,and in June my brother graduated from his business school ,He took a job with some company , and was assigned to their office in Kyushu ,I still had to finish my education in Tokyo .My brother announced that he was going to sell of the house and all our parent processions before heading off to Kyushu . How Botchan end up as a teacher a lot of bad luck . Botchan is the name of title character of this book ,we meet him as he is finishing his education .But the path he had in mind is cruelly cut when his parents die and their home is sold by his older brother and he has to take a job as a schoolteacher in the very traditional area of Japan Matsuyama .So he starts to teach maths ,but is drawn into a world of tricks at the hands of the pupils as they see him as an easy target .Add to this a bunch of strange fellow teacher that have a lot of nicknames which Botchan gave them when he arrived in his new job they are ,the porcupine ,red shirt and the principal the badger .We see this young man torn between the modern Japan that he left and the old values and customs he is surround with here .Also he faces moral questions as things happen around him ,as he has been brought up with very strong morals and is finding them challenged . I got here yesterday .It’s a nothing place .I’m staying in a 15 mat room .I gave them a 5 yen tip and the lady who runs the place bowed down so low she scrapped her forehead on the floor .Last night I couldn’t et to sleep .I dreamed that you were eating those sweets ,bamboo leaf wrappers and all ,I’ll be back next summer .Today I went to school and I gave all the teachers nicknames ,The principal is the badger .The assistant principal is redshirt ,The English teacher is pale squash ,the other maths teacher is the porcupine ,and the art teacher is the hanger -on .I’ll write you more about it later .Goodbye ! Botchan maybe shows his youth with the nicknames after his first day in his new job . 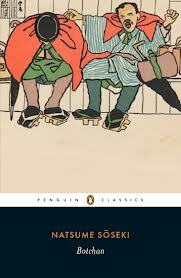 I loved this and can see why that over a century after it came out it is still highly popular in Japan and outside Japan .Botchan is a young man on the brink of manhood ,he is facing taking the right path for him or for what is expected for him? He reminded me a times of a later character from english fiction and that is the Paul pennyfather in Evelyn Waugh’s decline and fall, they share same reason of bad luck to end up being a teacher and both find the school and teachers they are surrounded with very strange at times .But also like Naomi which I reviewed earlier this month it tackles the changing face of Japan the traditional Japanese world and the modern Japanese world .This was also based on the writers own experience he spent three years teaching in the same region as Botchan was a teacher . Well I want to add more depth to the blog over the next couple of years so Victor Hugo is a great choice for this .Victor Hugo was the best known writer of his generation ,he started as a poet and then later developed into novelist he is of course now best known for his novels now ,especially Les miserable and The hunch back of Notre-Dame .This book was his first novel it also includes the short story Claude Gueux . Why should what I write here be of use to other ,stop judges from judging ,spare unfortunates ,innocent or guilty ,the agony to which I have been condemned ? What’s the point ? What does it matter ? After my head has been cut off ,what is it to me if they cut off other people’s ? This book is about what it says on the cover and that is the last day of a condemned man ,we met the narrator Unnamed ,we don’t know how he got to be waiting for the guillotine .What we do know is the room he is in the prison and prisoners around him ,what happens on the day of an execution .He is visited by the priest .The narrator comes across a stoic you sense he has fear but is doing his best to bury not to near the end he breaks down and appeal to the crowd for a pardon ,he is driven to this after he has met his daughter earlier and she seems to forgotten her father .The second part of this book is the story of Claude Gueux ,which is a true story of a prisoner ,that due to something happening when he is in prison for five-year ends up sentenced to death ,a heart-wrenching book that shows how one simple mistake that is the cause of a death ,it also the intolerance of prison authorities sometimes . The man stole .I don’t know what he stole or where he stole it from .What I do know is that the outcome of this theft was three days ‘ food and heat for the women and child and five-year in prison for the man . From Claude Gueux a man who stole for his family but end up dead as he fell out with the prison authorities during those five years . Well I had read hunchback years ago in my teens but something makes me think it was an abridged version (as it never stuck in my mind a lot as abridged books sometimes do as they cut the soul from some books )which is why I hadn’t maybe got round to Hugo .He was from the romantic movement of writers but this book is more a social justice piece Hugo was against the death penalty and wrote this book to show people how it felt to be on death row .I was reminded at times to the film from the Dead man walking where we see how this narrator described his world and last day at times was very similar too Sean Penn’s characters last day ,the talking to the priest ,the last meal ,the last visit with family and the final walk to the end .Hugo was an influence on many writer ,I can see a huge connection to Dickens another writer that used his books to show the social woes of his day .So I will try him again soon . What is your favourite book by Victor Hugo ? Raul Núñez was a Argentina writer ,poet and short story writer .He left Argentina at age twenty-five and then spent most of the next twenty-five years in Barcelona where this book is set .I believe this is the only book that has been translated and is sadly it appears out of print ,but is easily available second-hand it seems from what I looked at on the net .He passed away in 1996 he wrote four novels leaving a fifth novel unpublished . Antonio bore a striking resemblance to frank Sinatra .Forty year of age and of medium height ,he was balding slightly and kept his hair close trimmed .He found himself a live in job as a night porter in a small hotel .This gave him free lodging ,and a bit of money besides .About a year previously ,his wife had left him to go off with a black man . The lonely hearts club is the story of Antonio Castro ,he is a night porter in a small hotel ,which serves as his home he is married but rarely sees his wife and then a year before the book is et she left him and his life is quite boring .But he has one plus in his life and that is that this forty-year old has a striking resemblance to Frank Sinatra .Antonio decides to join a lonely heart club and via this runs into some strange characters ,a widower ,a dwarf poet and a gay barman .He also tries to help a 16-year-old that is lost in the city by setting her up in a room in the hotel as the boos only ever visits at the end of the month to collect the money he has made .Antonio or frank as he is know is a lost soul really in a city it seems of lost souls . I am three feet four inches tall .I weight seven stone and I’m twenty-two years old .I’m blonde ,and I’ve got blue eyes .My name is Bergonia Montana .I thought I ought to start my letter with the most important things . The poet dwarf that he meets during his liaisons from the lonely heart clubs . 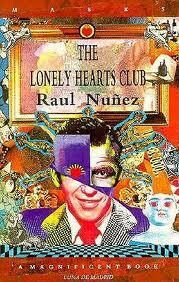 I picked this up after reading the Jacket copy and the fact it was one of the early serpent tail mask series ,which I have read other books from and liked them .The lonely hearts club is rather like a tom waits song transported to Spain ,his world is of shifty bars ,strange character on the edge of life ,drinking and lonely souls .The city also plays a big part in this book Barcelona is almost like the second main character in this story .As Antonio takes us on a tour of the parts of the city that us tourist would never see .The lonely hearts club itself is shown to be a collection of people like Antonio himself that haven’t got a lot in there lives or have lost something like the widow or need some sort of acceptance like the dwarf poet or the gay barman ,they are of course all drawn to Antonio for his resemblance to Sinatra .I like the lively nature of his prose style ,a great translation that even after 25 years has stood the test of time . Have you read this book or any from the serpent’s tail mask series ?